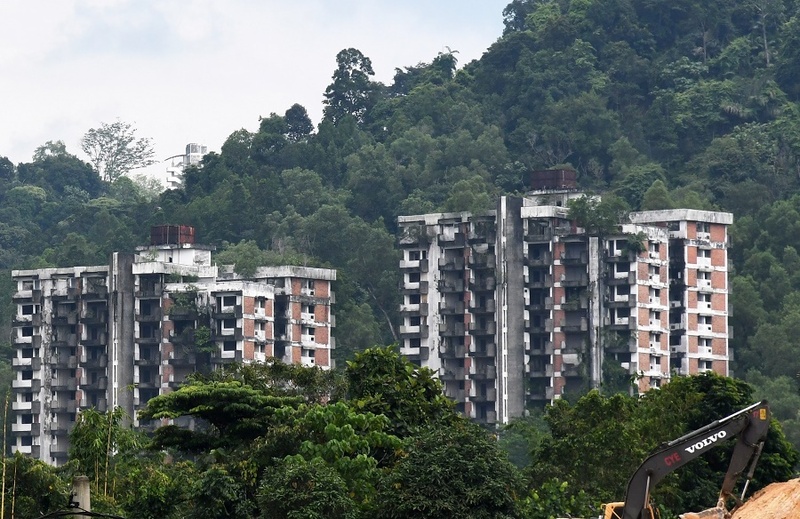 PETALING JAYA (Sept 14): The long-anticipated Highland Towers (pictured) redevelopment plan is expected to be unveiled in December, according to Housing and Local Government Minister Zuraida Kamaruddin. She said Majlis Perbandaran Ampang Jaya is preparing for the demolition work -- the buildings will be demolished once the authorities settle the insolvency and compensation issues. According to the Malaysia Insolvency Department, there are a total 150 units housed in three towers, with 50 units in each tower. Since the redevelopment committee was formed at end-June, it has identified the ownership status of 148 units (two units were unsold). Some of the owners are in the midst of applying for compensation while there are also some who have no intention of claiming compensation. “We are still finalising the plan for redevelopment, on which project should be constructed; hopefully by December, we will have a clear plan,” Zuraida told the media during the visit to the PPR apartments in Kota Damansara today. Meanwhile, she also said that her ministry is working on cutting red tape to simplify the process of abandoned project redevelopment. She said currently, there are 82 identified abandoned projects with 29 of them having been resolved. “There are still other projects with little or no progress that have not been identified yet (classified as abandoned projects). By simplifying the process and shortening the redevelopment application time, we could encourage White Knights to come in to save these projects,” she noted.